What’s a fun family vacation without a bunch of happy, worn-out kids? It can be tough to keep everyone satisfied during that big family getaway, but Your Friend at the Beach is here to help! The little ones can be especially tricky to please, but these 30A kids’ activities will surely keep their boredom at bay. Below, we’ve listed 10 of our favorite ways to entertain the kids around 30A. For more of our local insight, be sure to access our free 30A Vacation Guide! 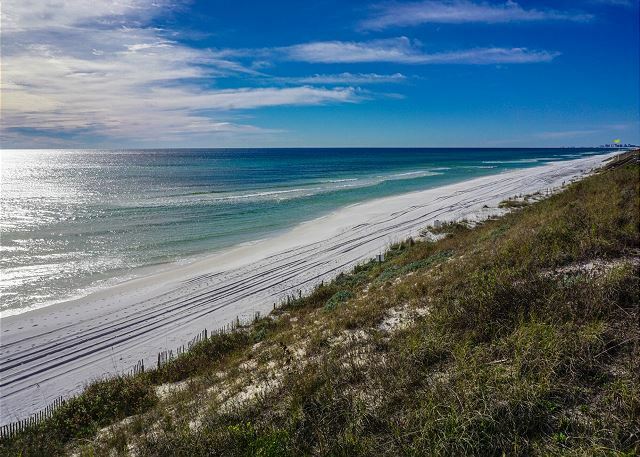 We’d be remiss if we didn’t place a visit to one of 30A’s best beaches at the top of our list. After all, your 30A vacation rental is just steps away from the shoreline! The kids will love running wild across our sugar-white sands and splashing in our emerald-green waters. Aside from simply enjoying the sunshine, you can build a beach bonfire, capture memories with professional family beach photos, or build an immaculate sandcastle. If the little ones tire of the beach but still want some fresh air, go on a family bike ride! 30A is one of the best places on the Gulf Coast for biking due to its impressive network of 30A bike trails and scenic views. We recommend trying the Timpoochee Trail, which stretches almost the entire length of 30A. Need bikes? Beach Dogs Bike Rentals can provide your whole group with top-notch two-wheelers. Another fantastic fresh-air adventure available on 30A is paddleboarding! This activity is perfect for adventurous older kids and teens. We recommend renting paddleboards on 30A and paddling across one of our rare coastal dune lakes! Gulf World Marine Park is so much more than an aquarium! You’ll find indoor and outdoor tropical gardens as well as several exhibits showcasing penguins, flamingos, sharks, sea turtles, and more. Additionally, there are daily live shows starring dolphins, sea lions, reptiles, and tropical birds. It’s a perfect stop for all ages (and an exceptional rainy day activity). Picture this: You pull up to the Seaside Farmers Market, one of the area’s most popular activities. Right away, you notice a beautiful, grassy knoll with tents on either side of the sidewalk. You see happy children running around, laughing and playing. Your child runs to his or her new friends, who welcome him or her to their play place. You walk around, exploring each tent, but you’re still able to keep an eye on the kids. After you shop, you lay a blanket down on the grass and listen to live music. At this farmers market, a truly perfect day for the whole family awaits! If you’re staying at a San Remo or Adagio condo, The Village of Baytowne Wharf is a short 20-minute drive away. The kids will love climbing the rock walls, going ziplining, playing in the water features, and attending magic shows here. The adults in your party will love it, too! There are countless boutiques here offering upscale ladies’ clothing, beachwear, fishing gear, gifts, and more. A fun, relaxing, and easy way to get some fresh air without spending too much time at the beach is going on a 30A boat tour. Everyone in your group will love an immersive and unforgettable trip through misty mangroves, stunning clear-water springs, and beautiful bays. We recommend booking a trip with Backwater Tours! If the kids want to channel their creativity into more than just a sandcastle, take them to Fired Up! This pottery studio in Seaside makes for a perfect escape from hot or rainy weather. The little ones will spend a few hours making a masterpiece, then come back the next day to enjoy the finished product! One of 30A’s best-kept secrets is Rosemary Beach, a community that offers something for all ages. For kids, there’s Camp Rosemary, countless year-round events, and, if you’re lucky, “Random Acts of Rosemary.” That’s when the Merchants of Rosemary Beach come together to surprise locals and visitors alike with pop-up attractions like a water slide, moon jump, and other delights! 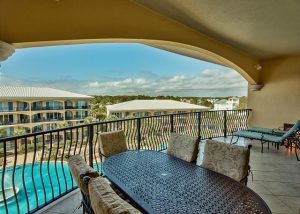 Bring the Family to One of Our Gulf-Front Vacation Rentals! Last but certainly not least, treat the kids to the most important aspect of your 30A vacation: A spacious and comfortable vacation rental on the beach. In a Your Friend at the Beach rental, the kids have plenty of space to roam, relax, and recharge after a fun day in the sun. In fact, your whole family will feel right at home thanks to our premium resort amenities: Complimentary Keurigs with plenty of flavored K-Cups, fully stocked kitchens, and convenient concierge services (hello grocery delivery and crib rental services! ), just to name a few. Choose between our Destin, Blue Mountain Beach, and Santa Rosa Beach condos and find the home-away-from-home that’s perfect for your family. Ready for the best kid-approved beach vacation? Check our availability today and start planning your trip!